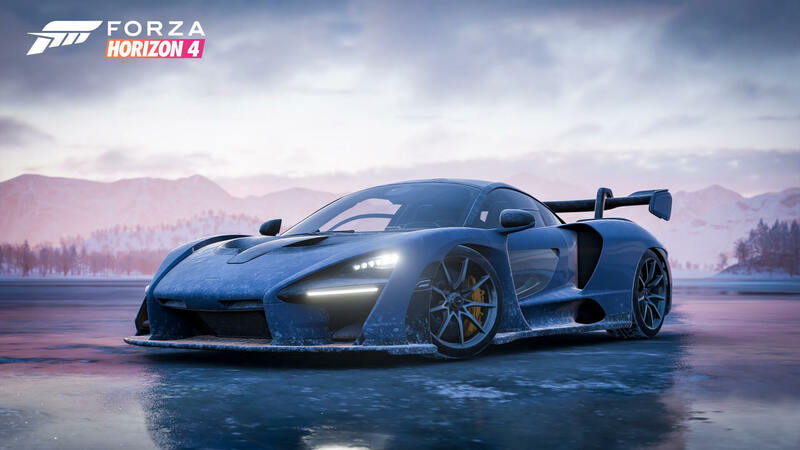 Forza Horizon 4 will be the most technically advanced Forza title yet – pushing the in-house developed ForzaTech engine to new limits. Not only will this benefit players on Xbox One consoles massively, but it also provides a host of new specific features for those on the PC platform. In an interview with PC Gamer from Gamescom 2018 earlier this week, the Studio Art Director of Forza Horizon 4 at Playground Games, Ben Penrose, revealed that the Windows 10 version of the open-world racing game will be basing its recommend spec on 60fps gameplay instead of 30fps, which is a change from Forza Horizon 3. Those who have powerful PCs can also look forward to “a whole bunch of new options you can push to the extreme beyond Ultra, if you've got a very powerful PC,” Penrose says. The team has also improved the overall stability and performance of the game, following in the footsteps of the optimization Turn 10 Studios delivered in Forza Motorsport 7. It’s worth noting that Playground Games also heavily-optimized the PC version of Forza Horizon 3 following its release, but it’s still quite a demanding title to run. 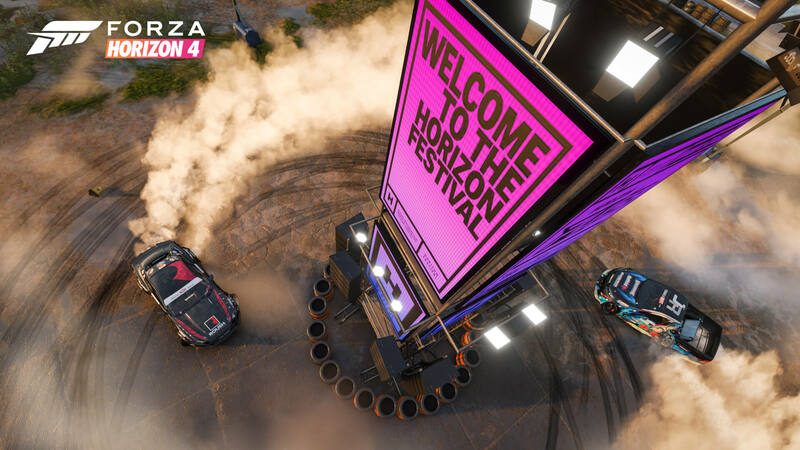 “We learned a lot, we knew things weren't as smooth as they could've been, and there were some issues there from launch,” Penrose admitted about the PC launch of Forza Horizon 3. “But that's why we spent a lot of time focusing to make sure we get it right this time." Forza Horizon 4 on the PC also allows you to build “a view for your cameras,” Penrose revealed, and High Dynamic Range technology – or HDR for short, will also be introduced for the first time on PC for Forza. If you’ve an HDR-compatible TV set or monitor, the game will offer more lifelike, vivid colours with higher contrast ratios, deeper blacks and increased level of brightness all-around. 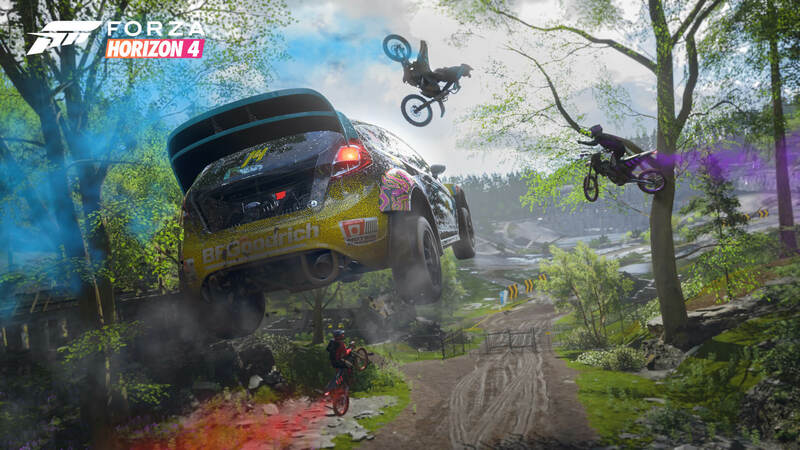 All of this would typically result in a more demanding title, however Playground Games’ Creative Director Ralph Fulton told Kotaku that Forza Horizon 4 has a lower minimum spec requirement than that of its predecessor. It wasn’t specified how much lower it would be, but details of that are expected to come ahead of the game’s release on October 2nd. 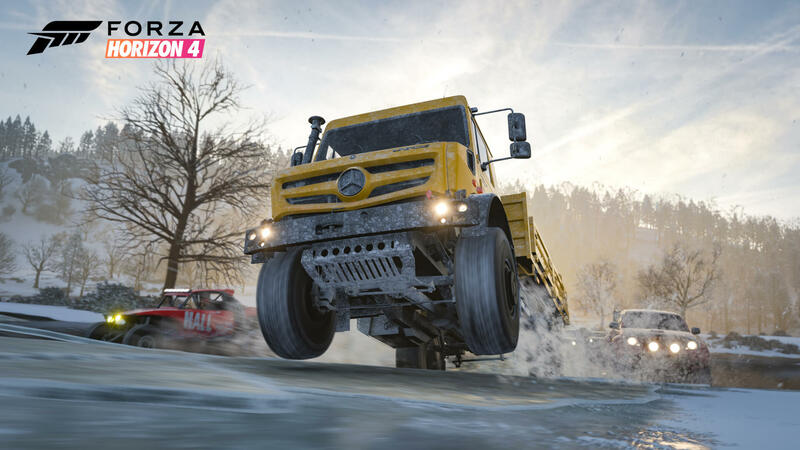 Fulton also revealed to Kotaku that Forza Horizon 4 features 21:9 ultrawide support, as well as an “automated benchmark,” adjustable field-of-view options, and like Penrose, he reiterated that graphical settings can be pushed “beyond Ultra for the first time.” What this exactly means, however, has yet to be revealed. Forza Horizon 4 will be an Xbox Play Anywhere title, which means if you purchase a copy of the game on the Microsoft Store, you’ll be able to enjoy it on both Xbox One consoles and Windows 10 PCs with cross-platform play and cross-progression under the one digital license. Furthermore, it’ll be available on the Xbox Game Pass monhtly subscription service from launch, which means for $10 a month, you can explore beautiful, historic Britain in Forza Horizon 4 across all four seasons – and of course, this applies to both Xbox One and Windows 10 PC. Whilst Forza Horizon 4 introduces a host of technical advancements for those on PC, the Xbox One X version isn’t being left behind either. An optional 60fps mode will be available for the first time on a Forza Horizon title on console, and whilst Playground Games has yet to specify the native resolution of this mode, we do know a 4K 30fps experience will be featured too – just like in Forza Horizon 3. The Xbox One X and Xbox One S versions will also feature HDR support for those with compatible displays. Additionally, the game will run in native 1080p on the Xbox One and Xbox One S hardware. Forza Horizon 4 will be available on October 2nd, 2018, but for those who pre-order the Ultimate Edition of the game, they can start playing four days earlier – from September 28th. Gamescom had a big showing for the upcoming open-world racing game. Not only did Microsoft reveal two brand-new Xbox One bundles including a copy of Forza Horizon 4, but we also had a deeper look at the game’s competitive-inspired Team Adventure mode, as well as the reveal of an all-new ‘Halo Showcase Experience’ that was shown to press behind-closed-doors at the convention this week.